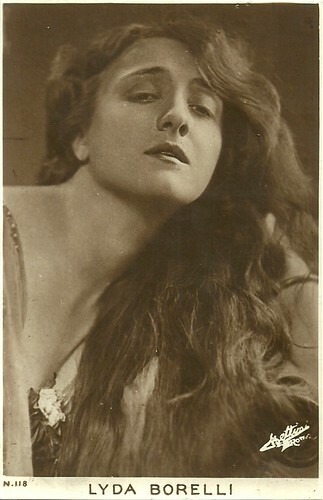 Italian film star postcards are among our favourites. Exquisite are the sepia postcards by Roman publisher Edizione Sociéta Anonima Italiana Bettini. 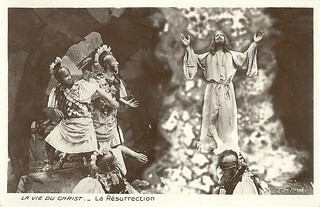 The photos for the cartoline were made by Cavaliere Dottore Riccardo Bettini, who stemmed from a family of photographers. 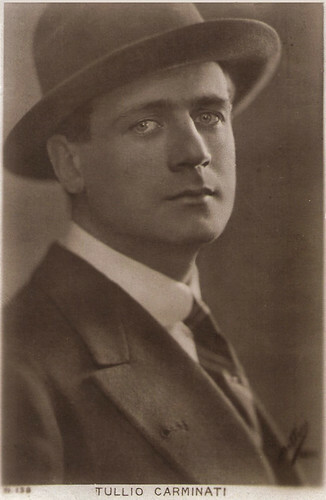 The fine fleur of Italian silent cinema flocked to his studio and were immortalised by his photo camera. 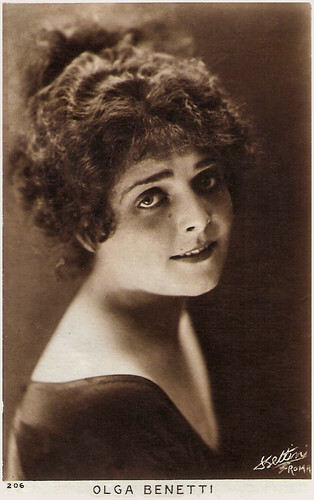 Lyda Borelli. Italian postcard by Ed. Soc. Anon. It. Bettini, Roma, no. 118. 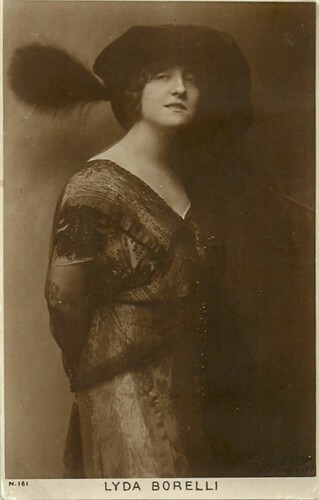 Olga Benetti. Italian postcard by Ed. Soc. Anon. It. Bettini, Roma, no. 206. Diana Karenne. Italian postcard by Ed. Soc. Anon. It. Bettini, Roma, no. 8149. 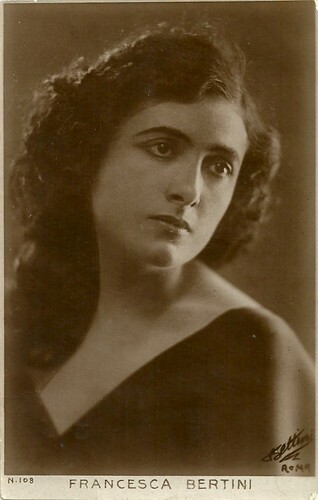 Maria Jacobini. Italian postcard by Ed. Soc. Anon. It. Bettini, Roma, no. 145. Dr. Carlo Napoleone Bettini, born in 1819 in Bologna, was forced to emigrate for his political beliefs to Egypt, where he worked as a photographer by applying the lessons he had learned in Paris from 1853 on, just for pleasure. In 1859, he was able to return to Italy when the political conditions changed at the beginning of the Second Italian War of Independence. 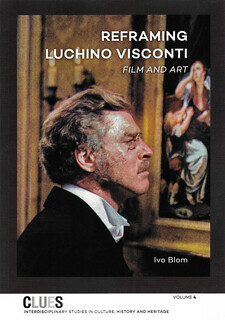 In Livorno, he opened Studio Felsineo. Some of his portraits of general Giuseppe Garibaldi are preserved now at the Museo del Risorgimento in Bologna. Bettini participated in the first National Exhibition of Florence in 1861 and around 1866 he became co-holder of the photo studio of C.B. Simelli in Rome. Flanked by his son Ugo Bettini, born in Bologna in 1843, Carlo opened in 1866 another branch in Livorno, which became the main plant. Shortly after, Carlo left the entire business to his son. Ugo was a photo-chemical expert, who would become well known in the community of national photographers due to the success of his technical treatises. 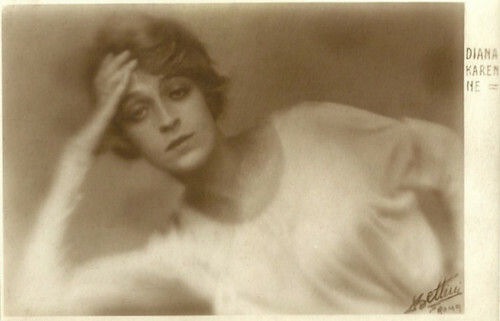 Ugo was a board member of the Italian Photographic Society, founded in Florence in 1889. During the late 1890s, the Lumière brothers had some of their 'views' in Livorno shot by Bettini and his colleague Felicetti. The two operators, albeit with a still shot, treated the subject in a totally different ways. Despite the attribution to Felicetti (official photographer of the event) in the contemporary sources, some believe that Bettini was the Lumière operator present in Livorno, because Bettini never minded shooting film. 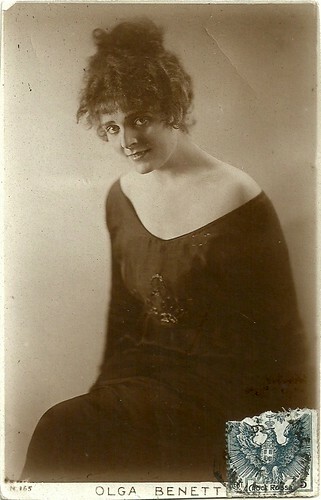 Francesca Bertini. Italian postcard by Ed. Soc. Anon. It. Bettini, Roma, no. 108. Leda Gys. Italian postcard by Ed. Soc. Anon. It. Bettini, Roma, no. 112. Tullio Carminati. Italian postcard by Ed. Soc. Anon. It. Bettini, Roma, no. 128. Astrea. Italian postcard by Ed. Soc, Anon. It. Bettini, Roma, no. 252. From the early 20th century, Ugo’s son, Cav. Dott. Riccardo Bettini, born in Livorno in 1878, started to keep up the family name in photography. He had a degree in chemistry. In 1908 Riccardo moved the studio to Rome, to Via del Mortaro 19. This had been the headquarters of the well known photo artist Henri Le Lieure. Riccardo took over the vast photo archive of Le Lieure, from his former days in Turin and Rome. Bettini inherited the clientèle of Le Lieure: the aristocracy, the world of culture and that of politics. They came to Studio Le Lieure for photo portraits of themselves. 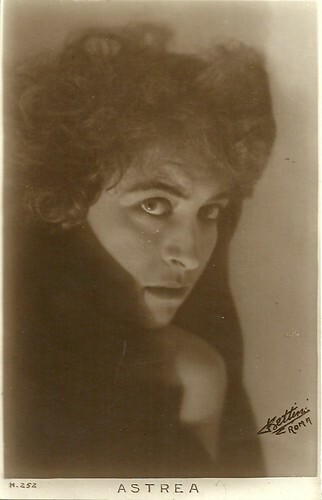 Bettini participated in the International Exhibition of Photography in Dresden in 1909, was awarded an honorary diploma in 1911 at the Exhibition of Turin and that of Rome, and participated in the Third Italian Photographic Congress, held in Rome in 1911. 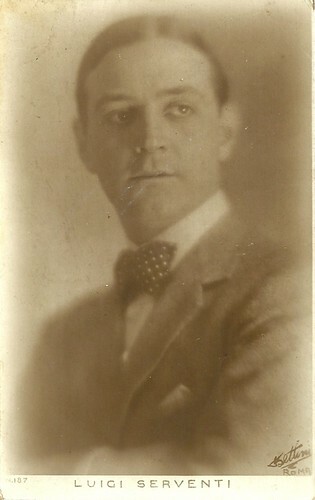 In the years between c. 1910-1930, Riccardo Bettini shared an art studio with Anton Giulio Bragaglia in Rome (Fotoritratti d’Arte Bettini Bragaglia). In 1924 he founded the Società anonima Ritratto Bettini to preserve and make known his powerful historical archive consisting of over 80,000 negatives. The surviving core of the Bettini collection (some 3,000 glass negatives) was purchased in 1954 (some say 1958) by the City of Rome when Riccardo Bettini settled in Argentine. Bettini's collection is now hosted by the Archivio Fotografico Comunale. 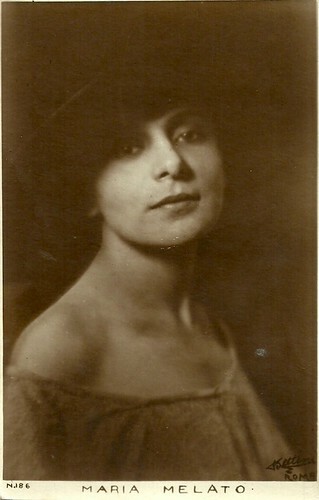 Lyda Borelli. Italian postcard by Ed. Soc. Anon. It. Bettini, Roma, no. 161. 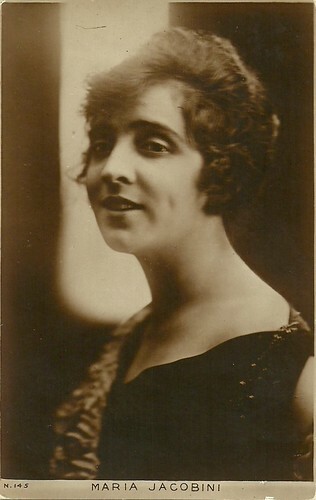 Olga Benetti. Italian postcard by Ed. Soc. Anon. It. Bettini, Roma, no. 165. 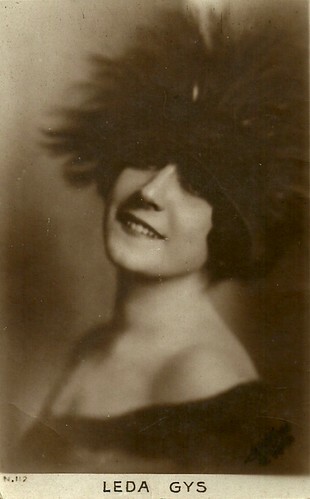 Maria Melato. Italian postcard by Ed. Soc. Anon. It. Bettini, Roma, no. 186. Luigi Serventi. Italian postcard by Ed. Soc. Anon. It. Bettini, Roma, no. 187. Sources: Fotografi-in-italia-1839-1939 (Italian) and Il Museo di Roma racconta la città (Italian). Paul, these are wonderful! I was thinking--do you know the identity of the little girl in the postcard I posted? She is quite famous these days. All I know is that she was a photographer's daughter, and that the originals for the pictures were destroyed in WW2. 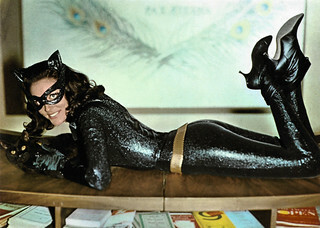 No one seems to know who she was. By the way, these photo portraits are all wonderful indeed. Thank you for posting. My favorite is the first picture. She is truly lovely. Happy Postcard Friendship Friday!